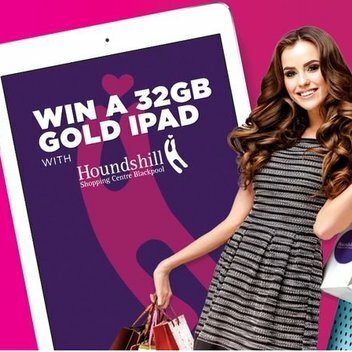 Win an iPad with Houndshill Shopping Centre | FreebieFinder UK | Freebies, Samples, & Other Free Stuff. Have the chance to win an iPad with Houndshill Shopping Centre. The prize includes a 32GB Gold iPad with a 1GB Sim worth £400. Be in with the chance to win this awesome prize by entering this competition on the Planet Radio website.